When we moved from PA to Louisiana in 2005, one of the first things we did was buy a new refrigerator. I loved that it came with an ice maker. One of my favorite things is a large glass of instant decaf iced tea filled with ice. A couple of years ago, the ice maker died. We had a repair man, a jack-of-all-trades kind of guy, come in for some other reason and my husband asked him to look at the ice maker. Part of the issue is that the refrigerator is still attached to a water line that, according to my husband, cannot be shut off now. The guy said if we got a replacement, he’d come back and install it. He also said he’d come back and fix the other thing but that never happened. Anyway, over the years, every now and then I’d buy ice from the grocery store and fill the bin with it so I could have my tea. My husband will drink tea made with tap water and no ice, but I really don’t like that. I want my tea COLD! 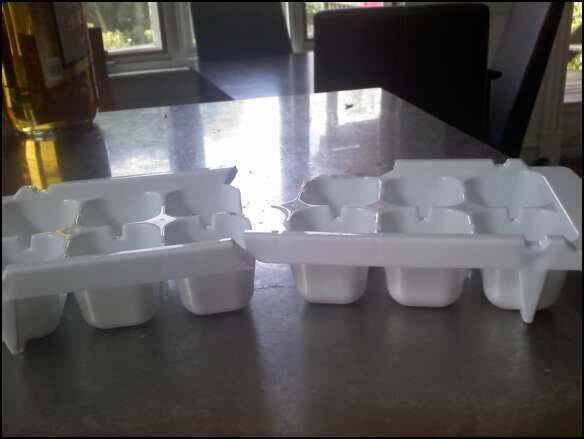 I did get ice cube trays, but did you know that most plastic is not as strong as ice? I think I’ve broken more trays that I’ve gotten ice cubes. Finally, this past year, my husband bought me a gift that he claims I love more than my children. That isn’t true. Most of the time. It is a counter top ice maker! One problem, at least to the husband’s mind, is that once you dump a full basket of ice into the freezer (the machine doesn’t have a cooler to keep the ice in. It just makes it until the basket is full, but if you don’t dump it, they’ll melt again. ), you have to go back 15 minutes later and break up the iceberg they freeze into. I don’t find this a problem because I don’t care about having individual cubes (or bullet shapes in this case) in my drinks. In fact, I like big chunks, and a simple butter knife is enough for me to break of a usable bit when I make a drink. If I make ice during the day while he’s at work, I don’t bother with setting a timer and breaking up the ice, so when he gets home, he has to break off his own chunk of ice for a drink. The other day, I caught him with his hammer, breaking up the ice. He didn’t seem to think it was funny. 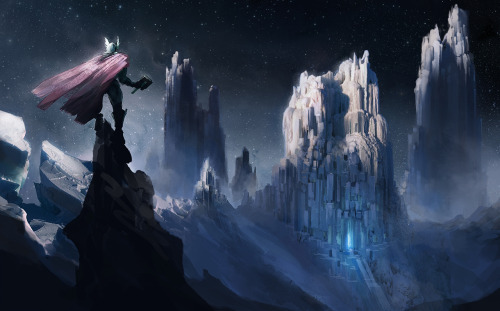 Possibly I should have gone with a “Thor vs. the Ice Giants” theme. How relevant is NYC for romance writers?